Welcome to Jack's Tracks for Sunday, December 7! 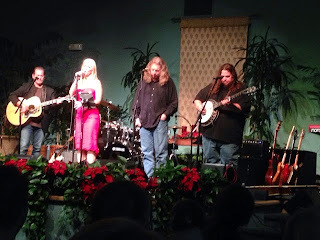 Jack and I were out in Encinitas last night and attended the Eve Selis Holiday Concert. Berkley Hart were there along with Eve's band! A splendid time was had by all! All right! Here's the play list. Rez Radio is the only place to keep your radio at 91.3 FM and also on iHeartRadio and other fine streaming services. The Christmas season is in full swing; don't let the hustle and bustle of the month get to you -- Join Jack and I ever Sunday at 4 p.m., Pacific, on KOPA 91.3 Pala. First Hour Big Bark Hour! Bark It Up Third Hour!